Winner of Community Builder of the Year Award 2014 for best accommodation! 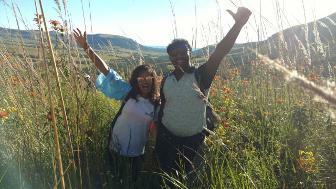 Voted best backpackers in the Eastern Cape of South Africa - January 2016 - by The Guardian! Check it here. 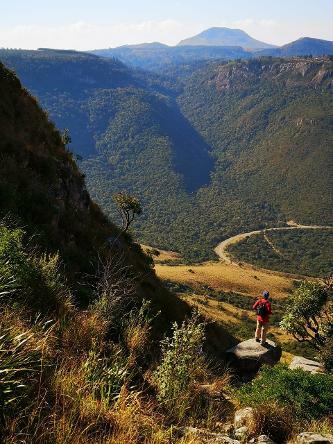 Completely of the beaten path, 30 minutes outside Hogsback, lies the picturesque Xhosa rural village of Elundini. Created from the desire to give guests a true African Experience, this community based backpackers has it all: great views, yummie food and cozy vibes. 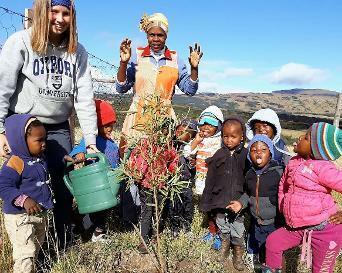 Are you curious to venture of the beaten path and experience authentic sustainable living - and not just anywhere, but at the very hear of South Africa's Xhosa land? Here at Elundini we try to attain a self-sufficient lifestyle in harmony and tight collaboration with the local community. Here at Elundini we do things a little bit different. When we started the backpackers, there was no electricity in the whole community. Our community is there for over 30 years, but we only have electricity since 2014. We decided to stay of the grid as much as possible. There is for example no electricity in the rooms, but we use solar/paraffin lights instead. In the bathroom we use compost toilets instead of flushing toilets. 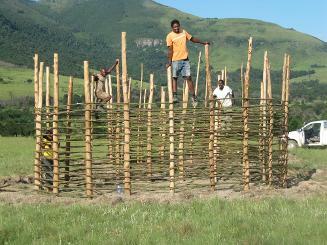 Most of our activities are organised by the people of our community through their 100% self owned businesses. They have never had any training in hospitality, but they just want to give you a good time. Don't want to stay at Elundini just as a tourist, but want to travel a little bit deeper and have a better understanding of life in a remote African rural village? Come and stay with us for a minimum period of 2 weeks and help out in different project in our community. How to get to Elundini. 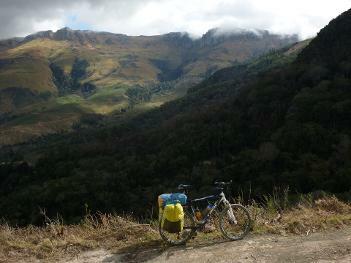 Well....you might not come by bike, but we believe that most backpackers in South Africa are missing out by not travelling around the country by local transport. Not only are minibuses and non-tourist buses much cheaper, but they are also the best way to meet interesting people and to learn about local culture. Do you come from East London, hop on the City to City bus to Alice. Either way, we'll pick you up in Alice for free. Check out all reviews on Tripadvisor, Facebook, Booking.com, Airbnb or Google+. 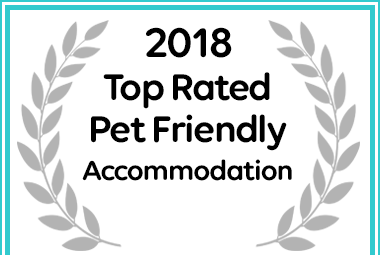 Elundini Backpackers in Hogsback received a 2018 Top Rated Pet Friendly Destination Award.